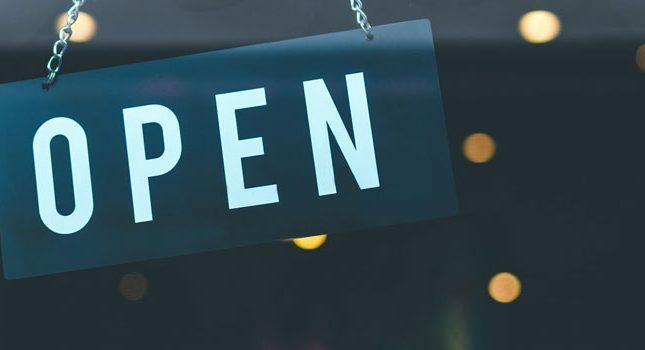 While a lot of new marketers focus heavily on promoting their sites via organic search methods, more and more people are realizing that that is just one way of obtaining traffic and sales. Promoting a site via adverts has long been an option, and there are numerous advertising networks out there. 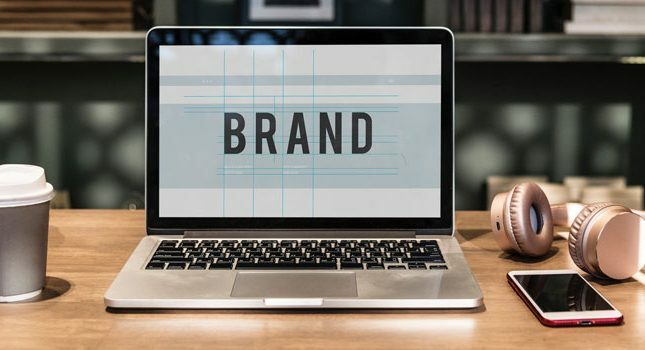 Advertising on specific sites is usually hit or miss depending on the site in question, their rates, their traffic volume and their user base. However, then you have Facebook. Advertising on Facebook has many advantages, both over organic SEO and advertising elsewhere. Here are 7 reasons why you should be giving at least part of your advertising budget to Facebook. Facebook has over 1.65 billion monthly active users. That’s about 22% of the entire world population. You really couldn’t ask for bigger audience to tap into. Not only that, but everyone from your gran to your favorite rock star is on Facebook. This means that whatever type of site and niche you have you can be certain there will be an audience for it on Facebook. Successful sites can say they have hundreds of thousands of visitors, maybe even millions on a monthly basis. Facebook boasts over 1 billion people logging in per day! With that number of people frequently accessing the site, advertising on the site is a no brainer. With promoted posts you can not only get more visitors to your site, but you can potentially increase the number of shares that the content gets. As you are promoting content to hopefully very interested parties, your content is more likely to be liked, and shared by those viewers. Your other alternative is to simply hope that your content is found and shared. Facebook ads are surprisingly cheap when compared to other networks. Seriously, you can run an effective (though small, maybe a few hundred clicks) marketing campaign for about $5 a day. Obviously it depends on your adverts, targeting selection and so on, but Facebook adverts can be very cost effective and cheap to start with. Oddly enough, ever since Facebook came out with adverts and promoted posts, the reach of a standard business page is effectively zero. Simply having a page and hoping enough people will share it just doesn’t cut it anymore, so the only real way to advertise to people on Facebook is to make use of the paid adverts and promoted posts. Luckily they’re not that expensive! The amount of data Facebook holds on each user is crazy, as a user it can even be really scary. As a marketer it’s a dream come true! 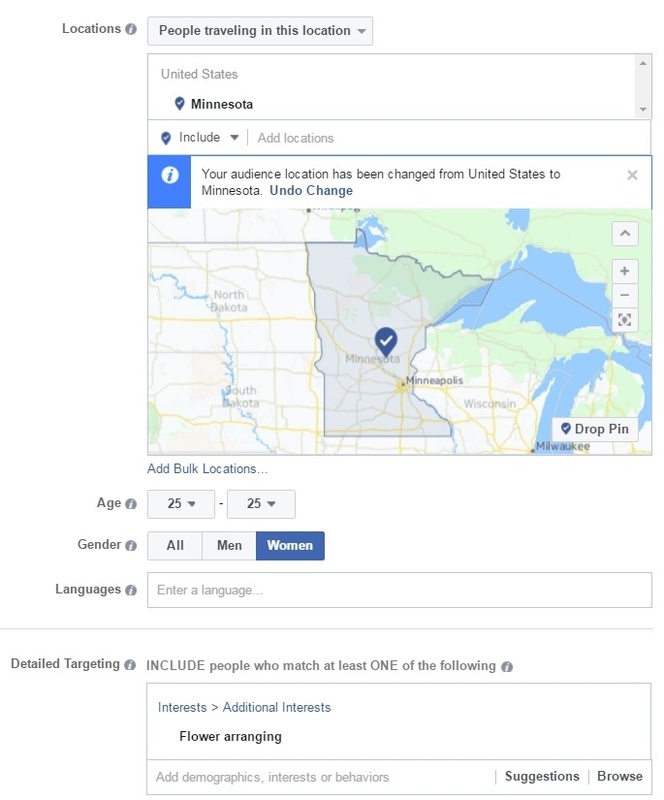 If you want to target women aged between 25-35, who recently travelled to Minnesota and who love flower arranging, you can do just that. Of course that might be way too specific but you can see exactly how powerful this system is. This level of targeting is where Facebook blows almost every other advertising network out of the water. With the amount of targeting you can do, the potential ROI is much greater, as you’re more likely to be targeting an audience that is actively interested in what you have to offer. Not only does FB offer advertising, but it also provides a remarketing service. Remarketing is where you advertise to someone who has already visited your site. It’s kind of like gentle reminders about what they viewed in advertisement form. 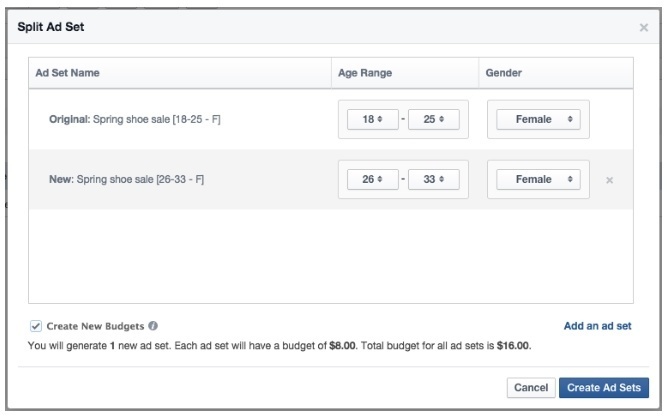 Facebook’s advertising system has plenty of built in tools that can help you make the most of your adverts and budget. Not only does it have an easy to use system for narrowing your target audience, but you can also see an overview of your campaigns. As well as that there is an A/B testing system in place. One of the most useful tools you will have at your disposal is Audience Insights. 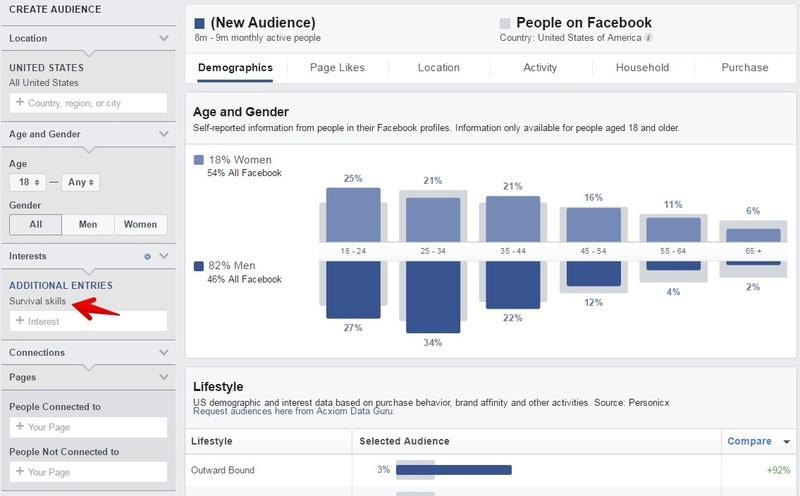 It allows you to delve into the vast data set that Facebook holds, and discover interesting and useful things about your potential audience, and even your competitors. This information can help you find out what sort of people your audience might be. For example, in the United States 82% of people who like Survival Skills are men, with the largest proportion (2%) based out of El Paso, Texas. This sort of data can assist you with your content creation plan (for example creating personas) as well as your advertising campaign itself. Facebooks advertising system is a potential gold mine. The combined factors of it being relatively cheap, alongside the massive amount of available data, means that you can target your ads in such a way to maximize your return on investment. There’s really no reason not to give Facebook ads a try, and even a small budget of a few dollars a day can have you running tests, finding markets and making sales!